Welcoming the mid-year vacation with arms wide open, it’s about time to put your travel plans into action. We all know what that means; that’s the time of year when we get to explore our beloved homeland, Egypt, and embark on an epic local adventure. And what would be a better idea than Fayoum? For starters, it’s close; only an hour to an hour and a half ride from Cairo, meaning that the unlucky working population, like myself, can do it on a weekend as well. Add to that that it’s a cheap destination and the weather conditions right now are perfect; the list of pros can go on. So, to get you started, in this guide, I’ll be covering everything from different activities you can do when in Fayoum, places to stay, how to commute, and so forth. Have your backpack ready because adventurous oasis waves are about to hit you! 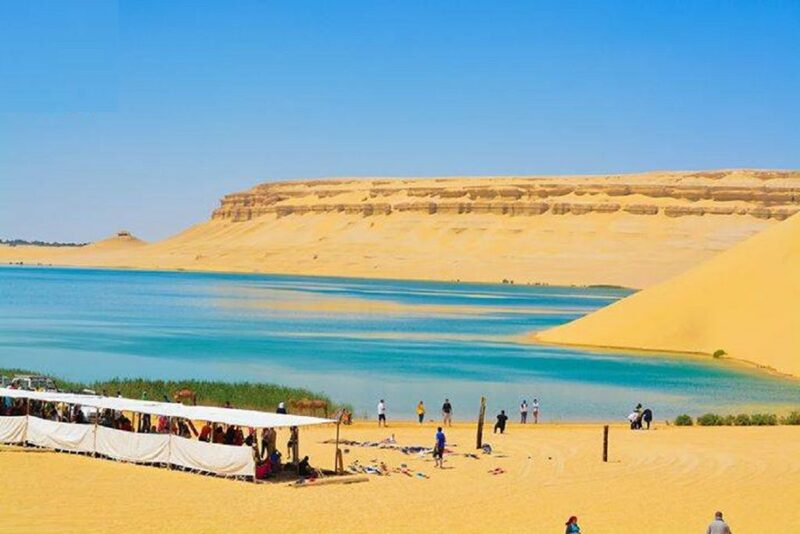 Let’s break Fayoum into three main destinations; Tunis Village, Lake Qarun, and Wadi El Rayan, from which we can delve into all sorts of activities that you can enjoy. Does that ring a bell? 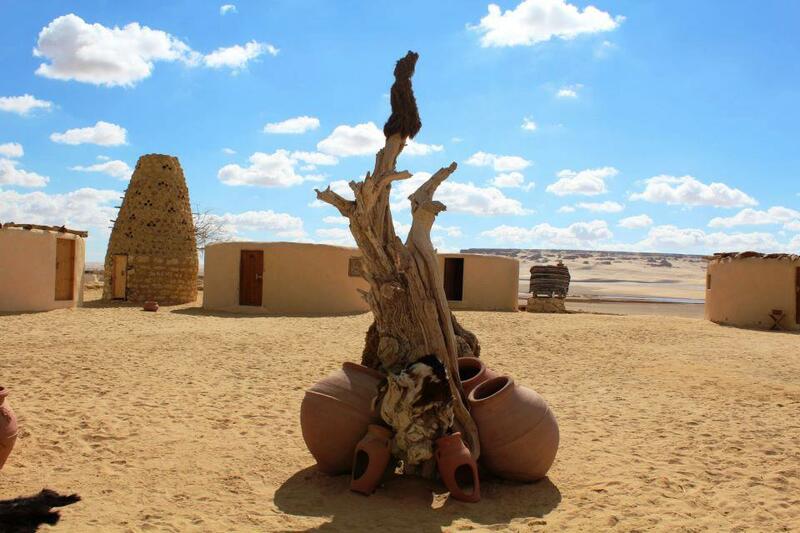 If it does, then you probably know that Fayoum is famous for pottery and other sorts of art. It all started when Evelyne Porett, a Swiss potter, and her husband built the first pottery school, NAGADA, there in the 1980s. Being the first potter ever in the village, she was able to train locals and from the there, the craft evolved. Today, Fayoum Art Center is standing in the village dedicating a space to connect artists by providing studios and a supportive community for all the talents out there. Other than the art dedicated NGO, if you ever decide to visit in Autumn, you shouldn’t miss the annual Tunis Village Handcrafts Festival. This is when local potters and artisans get together to showcase their talent and work of art in a one of a kind event. If you happen to be a big fan of nature and wildlife, you can go horse riding or even bird watching! This is the best timing for bird watching, actually, as the season is from October till April when desert birds migrate to the oasis. You can easily book your spot for either of these activities through your hotel. Speaking of which, where to stay? 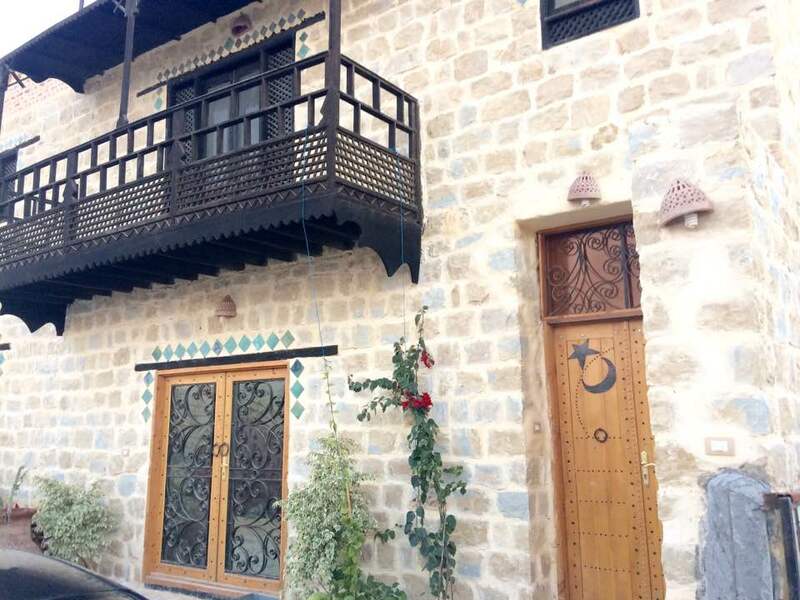 There’s a wide variety of accommodation options in Tunis Village ranging from luxury stays to eco-lodges. If you’re looking for a lush hideaway in the heart of the oasis, then Lazib Inn Resort and Spa is your place to go. However, if you’re more of a person who’d rather immerse himself in the God-given beauty of nature, then an eco-lodge is your choice to make. Kom El Dikka Agri Lodge and Zad El Mosafer are among the highly recommended lodges over there. It’s also worth mentioning that you can be lucky enough to find yourself a pretty decent Airbnb in the village as well! The beautiful scenery that Tunis Village overlooks is none other than Lake Qarun. The lake is the second largest one in Egypt after Aswan’s renowned Lake Nasser. The water surface that once covered Fayoum entirely has gone through several changes throughout its history. From a series of canals dug by ancient Egyptians to a recent increase in salinity, Lake Qarun is now known as the world’s most ancient lake that supports a unique ecosystem that the wildlife has adapted to. As a result of the lake’s state, thousands of birds migrate to the area during winter months. Thus, bird watching is very common there as well and chances of spotting a flamingo, for instance, are pretty high. In addition to that, the serene lake makes a perfect weekend getaway where you can rent a rowing boat with your loved ones. 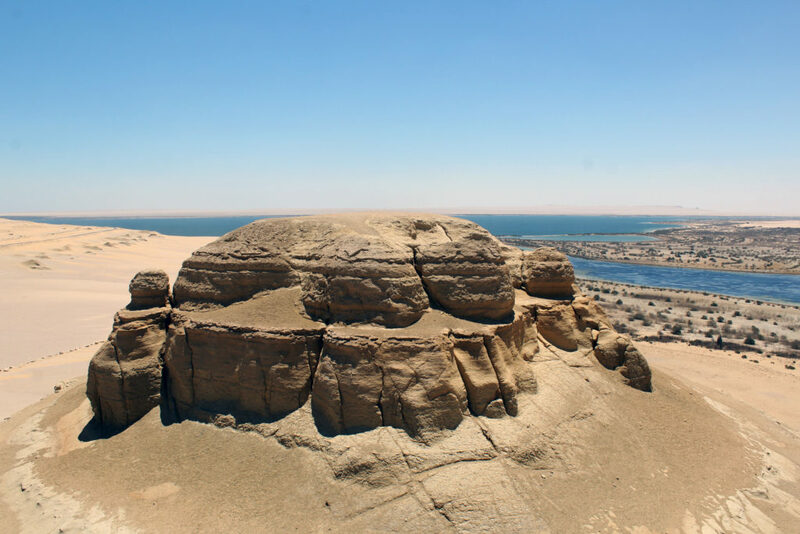 Quick fun fact: ‘Fayoum’ is an ancient Egyptian name that means ‘sea’ or ‘lake’ referring to the fact that the oasis was once covered entirely with water. Moving on to Wadi El Rayan, the Fayoum-based destination that you probably hear about the most. Known for its waterfalls backdrop, the natural protectorate actually has way more to offer its visitors. 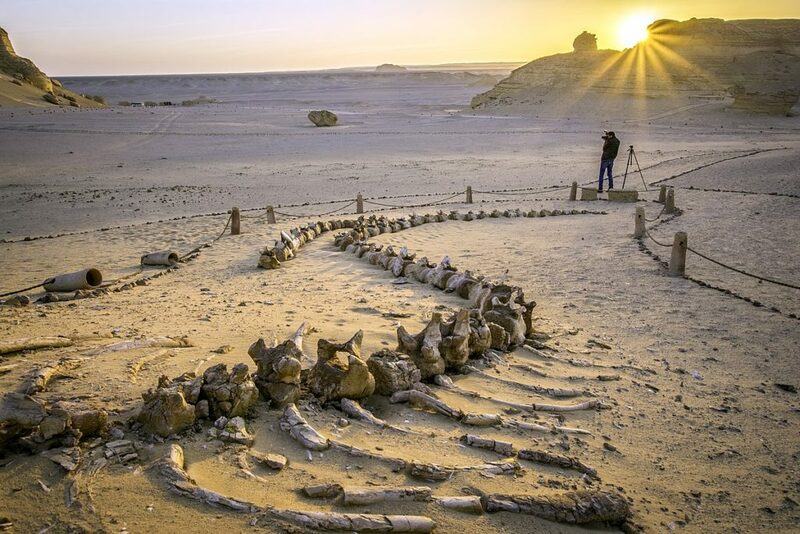 To start with, Wadi El Rayan is home to Wadi El Hitan, a UNESCO World Heritage Site that contains fossil remains of the earliest suborder of whales called Archaeoceti, that’s now extinct. The museum is definitely designed to international standards; it’s simply impeccable. Another must-visit would definitely be the Egyptian Geology Museum in Fayoum where you’ll find an interesting collection of the predynastic fossils. That in addition to a marvelous introduction of Egypt’s geological history that’s seen in its fauna and flora as well as extracted stones and metals. If nature’s work of art tickles your fancy, then nothing would be more magical than the Magic Lake in Fayoum to witness an unforgettable sunset. Overlooking the oasis’ sand dunes, the lake’s color changes several times during the day depending on the time of year and the amount of sunlight it receives. For campers and hikers, a visit to Gabal Al-Medawara is a must. The humungous rock formation that has three distinct summits makes for marvelous scenery to gaze at if you’re not much of climber. For adrenaline-fueled activities, you can’t miss sand-boarding the sand dunes in Qosour El Arab. Whether you’re a pro or not, it doesn’t really matter. Trust me, based on personal experience, it is 10 times more fun than any water slide! Fayoum might be kind of known for the adventurous activity as your Facebook feed probably familiarized you that. However, did you know kayaking is also an option? Remember the lakes? Well, that explains. If you’re looking for someone to lead your adventure, there’s none better than Sinai-based Homadventures that also happens to operate in Fayoum and Siwa as well. Through them, you can have your sand-boarding or kayaking experiences, as well as off-road excursions. These excursions will save you time and energy as they bring together a trip to the previously mentioned destinations in Wadi El Rayan tailored to your adrenaline levels. If you’d fancy a night at the million-star hotel, AKA the vast desert, and its sky, consider it done as well. You don’t even have to worry about transportation or accommodation, they do that for you as well. It’s also worth mentioning that if you have your own 4×4 vehicle, you can join other groups that roam around with their own off-road cars. Speaking of accommodation, I highly recommend you stay at Zowara Ecolodge if you’d like to experience the desert life at its finest. They offer you two lodging options; either tents or stone huts. Isn’t that great? Who needs the posh life when surrounded by that mesmerizing natural beauty anyway? Finally moving on to transportation, your options are to either rent a van with a driver through a travel agency or travel with your own car. Fayoum is only a 100 KM Southeast of Cairo, so it’s a short hassle-free ride anyway. As for the car-less travelers, yes, lack of public transportation to Fayoum was a nightmare until EcoEgy Tours decided to provide the solution. They recently introduced a new shuttle bus that moves from Lebanon Square every Friday at 7 AM and another one that picks you up from Tunis Village at 4 PM on Saturdays and heads back to Lebanon Square.